Check out that cover! 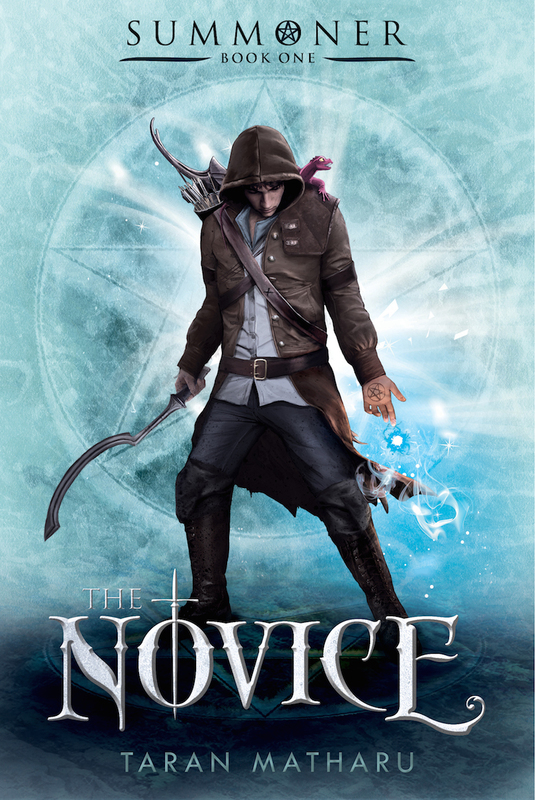 Taran Matharu’s debut novel THE NOVICE looks vaguely Garth Nix-y, and y’all better believe I love his books. This sounds so tropey and fun! Nothing too groundbreaking here, but I’m prepared to be pleasantly surprised. As much as the fantasy elements sound great, I also like the sound of class issues between a blacksmith’s apprentice and the nobility. And if I’m not mistaken his demon familiar is perched on his shoulder…too cute. Apparently The Novice started off as a project on Wattpad, which for those of you who may not know is a website for original stories by unpublished authors and fanfiction. I’ve never read anything that started on Wattpad, so here’s hoping that The Novice delivers! I had to look really closely to see the little guy on his shoulder – how cute is that! I love this cover, and I’m adding this to my list right now, thanks! So cute!!! I’m a sucker for familiars and the like. The great cover gives me hope that it’ll be awesome! It’s easy to miss, I was just scrutinizing very closely haha 😉 Fingers crossed it will be good and not a flop! I definitely think I’ll be reading this one! Ooh, it looks like I’d actually added this to my wishlist last year. I usually go through upcoming releases and I have to say, very few YA books capture my attention enough for me to actually do that! 😛 It does sound so good though! We’re in agreement on that one! It’s all UF, all the time around here. 😉 But this sounds very promising and I love the cover art so I’m down for it! I’m easy like that, haha. Great cover! I’m adding this to my list of books, Danya. Yay! Happy to spread the news about a debut author.